Murals for Fundraising: Exciting, Different, and Profitable! 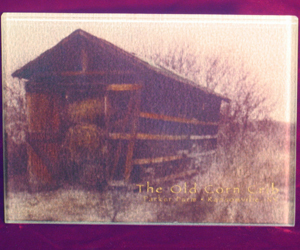 A tile mural from Tile Murals Plus is a great way to raise money for your organization. Not only do you raise the money you need, you get a beautiful tile mural to install permanently in your facility. Imagine the possibilities! See below for examples of fundraising projects we’ve done. (Shown Above) Large tile mural of 6 inch x 6 inch satin finish ceramic tiles with a total size of 8 ft. x 4 ft. This mural was presented upside down at a fundraising gala, then, as each tile was purchased, was turned over to reveal the image. Donors were presented with hardboard coasters, one for each tile purchased. The money was raised and the mural was set into a wall of the facility to be enjoyed by all. 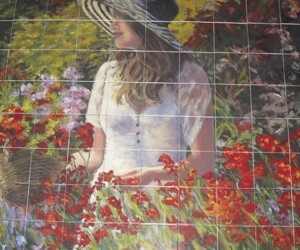 (Shown Above) Large tile mural of 6 inch x 6 inch satin finish ceramic tiles. This mural was pre-sold before any production was started. Individual donor’s names were imprinted into the yellow area. Upon completion, the mural was set into the wall of the facility, showcasing all of the donors. (Shown Above) This fundraising project was ongoing for several years. 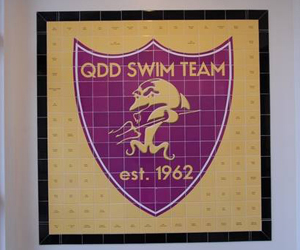 The facility, a school, decided to have the children design the 8 inch x 8 inch satin finish ceramic tiles… art was sent to Tile Murals Plus and scanned into our system. Different flowers were chosen to indicate various levels of giving. The tiles were purchased and produced over the summer, then added to their “garden of giving” wall, ready for the school year. 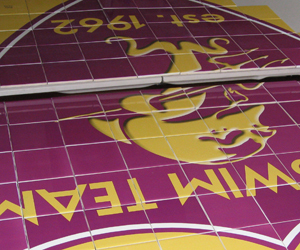 Donors were able to put up to 2 lines of copy on their special tile. 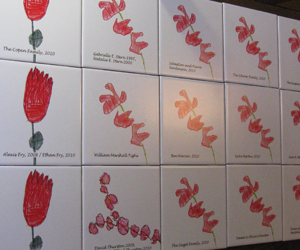 (Shown Above) These 10 inch x 8 inch tempered glass tiles were individually produced from provided artwork and copy. They were sold by an organization as individual trivets. Because they are tempered glass and will withstand the heat, and that the image is imprinted on the reverse side, these were ideal to sell as trivets. Samples were purchased and orders were taken before full production commenced.